One of the best ways of decorating around TV is mounting it. In such way, you are able to make it look like it ideally belongs up there with the beautiful artworks. This is also one of the best ways to decorate around TV. Through this way, attention is more focused on the art than on that black object in the console. One of the easiest ways of decorating and incorporating TV to your space is through using entertainment console which include matching bookshelves and hutch. This creates cohesive look allowing you to have added storage and places to properly display your most favorite accessories. Gallery walls are said to be one of the fun ways of decorating around TV and displaying favorite photos collection or artwork as well. Adding shelves can bring a new level of interest to gallery walls and the stained wood actually ties this together with the console. Open shelving under your TV is not just practical but if this is done right, this can truly be eye-catching. Hide game consoles, remotes, controllers in vintage suitcases. Putting television above the fireplace is sometimes a considerable option. If this works perfectly well with the room layout, fireplace set up and furniture placement, it will combine focal points into one. It might be surprising to know that hiding it is actually one of the best ways to decorate around TV. Also, one of the recommended ways of dealing with design problems is trying to eliminate it. If you can’t stand having a glimpse of your television, find a way to hide it. You can consider the concept of attaching TV inside the coffee table, concealing it behind artwork or behind the custom sliding door. These may not be the best or most convenient solutions for individuals with complex TV viewing needs however, for those who opt minimal TV time, these are actually fantastic yet affordable options. Placing a stunning frame around your TV is also an ideal means of personalizing your television and helping it blend with your décors. Frame can be bigger than the TV or can also be customized to hug your TV for a more built-in look. With all these given helpful ways, decorating around TV becomes easier and more manageable. If you had enough of your usual set up, you can consider some of the best ways on how to decorate around TV discussed above. 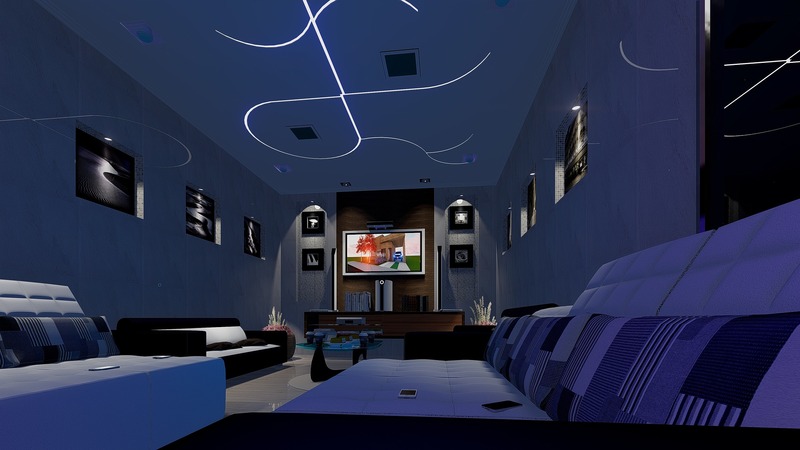 You can surely obtain a better and fresher look if you decorate around TV by following some of these ways.